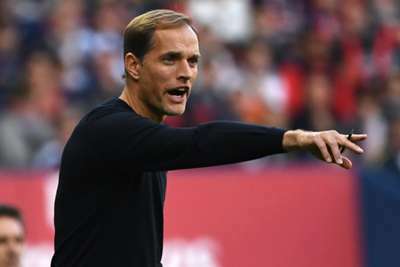 Paris Saint-Germain coach Thomas Tuchel believes Jose Mourinho's sacking at Manchester United "changes things", but he is unsure just how. The Ligue 1 giants were drawn to face struggling United in the last 16 of the Champions League on Monday. Just a day later, United announced Mourinho was leaving the club after two and a half years at the helm. Tuchel said the Portuguese tactician's departure would likely make a difference, but he added there was a long way to go until the tie is played in February and March. "Yes, it changes things, but I don't know what," he told a news conference after PSG's 2-1 Coupe de la Ligue win over Orleans on Tuesday. "However, it doesn't matter, we have a lot of matches [before] Manchester United. "I know it's very interesting for you journalists to write articles, but before the next game, it's not time to talk about Manchester United. "First there's the Nantes game and then we'll see."